Summer might still feel like it’s a few months away, but the list of acts announced for this year’s Cobo Bay Balcony Gigs has brought the sunshine a bit closer and given us all something to look forward to. Islanders will be able to enjoy another bumper series of free family-friendly live music events this year with acts including tributes to global superstar Ed Sheeran, the iconic David Bowie and rock legends AC/DC in this year’s line-up. 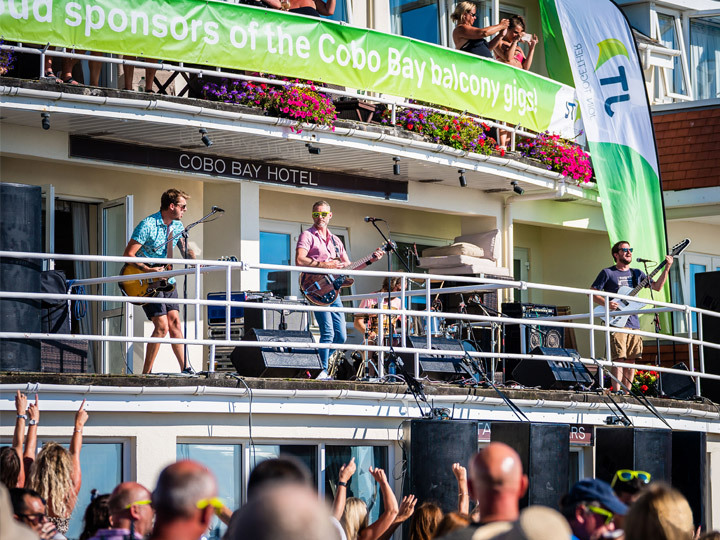 The free gigs from the Cobo Bay Hotel first floor balcony have been providing live entertainment for some 30 years now and have become synonymous with summer in Guernsey. This year’s series begins on Sunday 5 May with a Tina Turner Tribute and the last act will take to the balcony on Sunday 25 August. As in previous years, the events will also raise money for the Guernsey Cheshire Homes and the GSPCA, JT’s chosen charity for 2019. JT’s Deputy Managing Director in Guernsey, Tamara O’Brien, said: “It wouldn’t be summer without the balcony gigs. This is the eighth year that we have supported these popular community events. As always, the line-up of tribute acts is fantastic and we’re pleased to be helping these events continue and bring top quality, live music for everyone to enjoy for free. In the lead up to the first gig we will have competitions and news on our @JTsocial Facebook page where everyone can catch up with the latest gig gossip and this year we will be livestreaming the event using JT’s exclusive beach cam and drone footage. 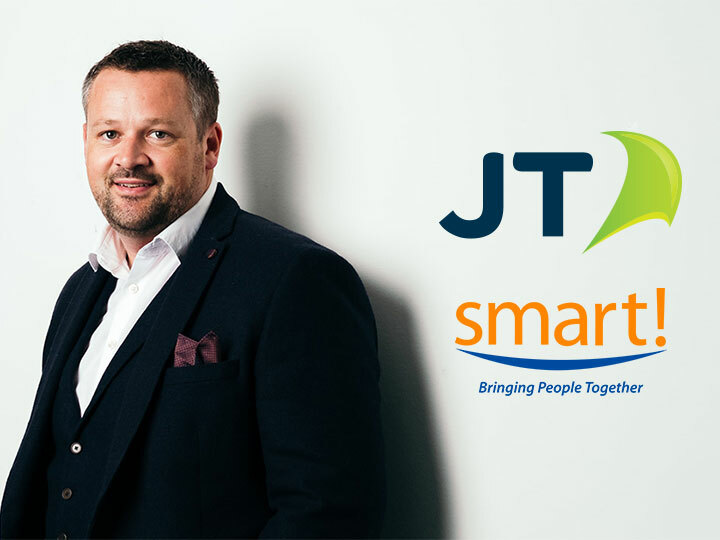 JT’s Business teams across the Channel Islands and London have boosted their already strong relationship with world technology giant Cisco by achieving a further premier accreditation; ‘Advanced Enterprise Networks Architecture Specialisation’ reflecting their growing depth of skills and knowledge. 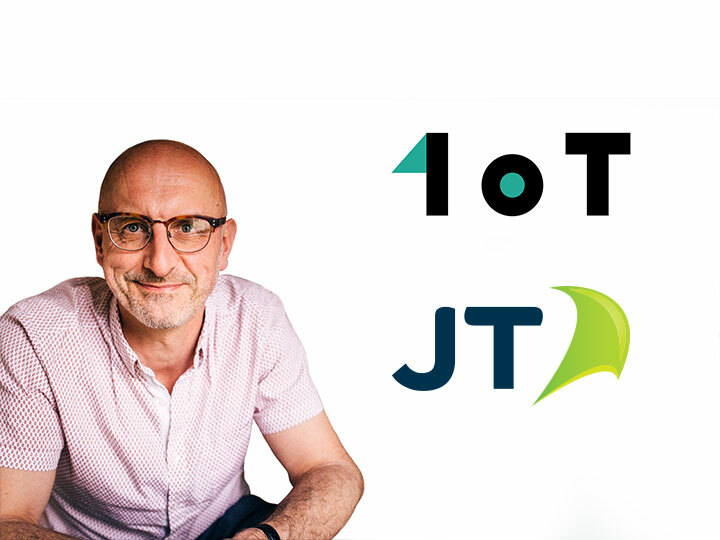 This makes JT the first Channel Island-based provider to have gained two full Cisco architectures enabling JT to expand the range of Cisco products within their portfolio. These products include JT’s newly launched ‘next generation’ firewall which allows JT’s customers to actively monitor systems and, if needed, lockdown and isolate any devices which have been compromised with an advanced managed service approach. By achieving this Advanced Enterprise Networks Architecture Specialisation, JT’s team has demonstrated that they have met the stringent training standards required and have further secured the team’s expertise in supply, design and deployment of complex Cisco solutions. 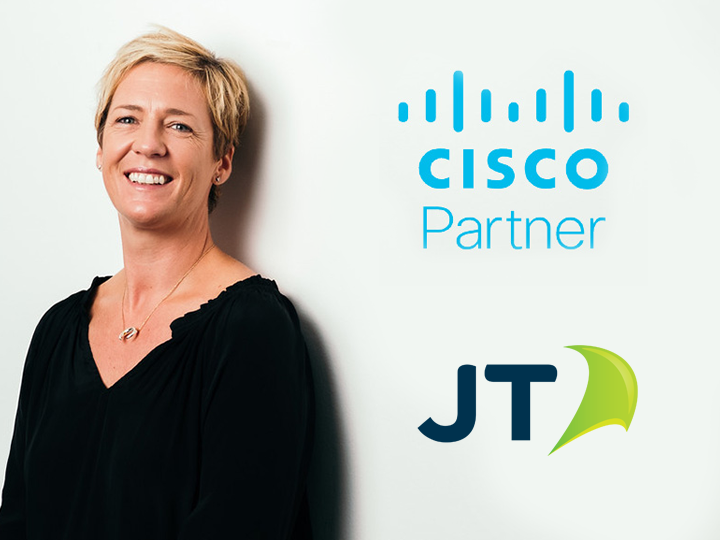 Katie Corbett, Director of CI Enterprise & Business Services at JT said: “Cisco is the largest networking company in the world and our 20-year partnership with them helps us to deliver the very best solutions for our global customer base. We pride ourselves on having within our dedicated team some of the finest Cisco experts in the islands, who between them have now clocked up some 60 hours of intensive training, often in their own time. So, we are delighted to add this second architecture specialisation to our portfolio further expanding what we offer to our customers in the Channel Islands and around the world. In a bid to firmly establish itself as Europe’s most connected operator and cement its reputation as one to watch State-owned 120-year young operator JT Group has joined forces with 1oT to launch an innovative eSIM solution at this year’s MWC. This eSIM solution is set to open up a new level of global connectivity for IoT service providers. Designed specifically for the needs of start-ups and small and medium-sized IoT service providers, this new 1oT eSIM, technically known as eUICC, will enable them to operate in multiple regions worldwide. What’s more, through this partnership with JT those customers will now also benefit from JT’s extensive worldwide roaming network. This eSIM is set to simplify and revolutionise the market for these users by enabling a ‘virtual swap’ in the air between pre-negotiated operator services without the need to physically change the SIM card. It will also leverage the global roaming deals provided by JT opening up access to over 700 of JT’s partner networks potentially making it the world’s most flexible SIM. 1oT is an operator independent global connectivity provider which handles the complexity of working with multiple operators in different regions for IoT service providers and device makers. In 2018 JT teams raised £21,831 for their chosen charities through a combination of group events and individual challenges across all JT’s locations. In Jersey the team worked with Littlefeet Environmental and Jersey Marine Conservation while the Guernsey team supported the Marine Biology Section of the Société Guernesiaise. The money raised by the teams will directly benefit local environmental causes, providing much needed funds to support valuable work in the communities that JT is a part of. Spurred on by the JSPCA’s plea for help to save the Jersey Animal Shelter, the JT team in Jersey have decided to put their full support behind the charity in 2019. While in Guernsey the JT team will focus on supporting the great work of the much-loved local animal charity, the GSPCA. 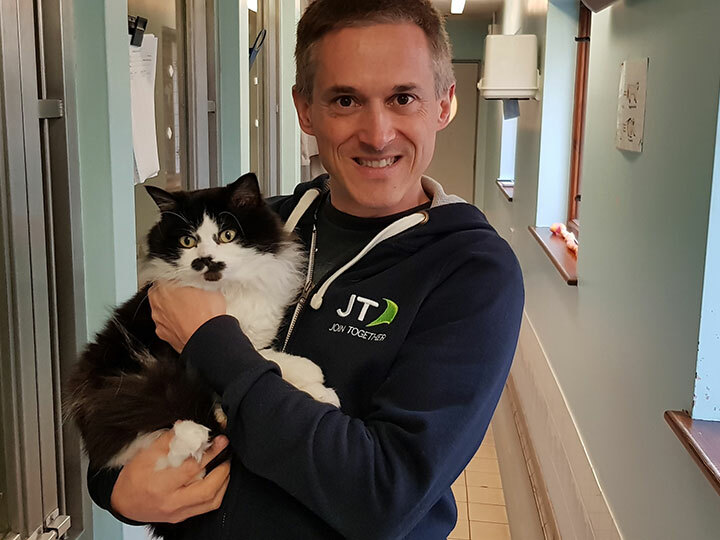 Christophe Chateau, JT Group Head of Culture and Staff Engagement, said: “Animals play an important role in many people’s lives, as valued companions for some and for many others they are a lifeline. Right now, help is needed to ensure that the people that look after the animals and pets in our community have what they need to continue to provide islanders with a vital service. “We are committed to supporting the JSPCA’s efforts to help fund the shelter in the same enthusiastic way that we have supported local charities and initiatives for decades. For us, it’s a great way to bring people together, have fun, raise money and change something in our community that needs our help. More information about the company’s work in the community is available on the charity and community pages of the JT website. 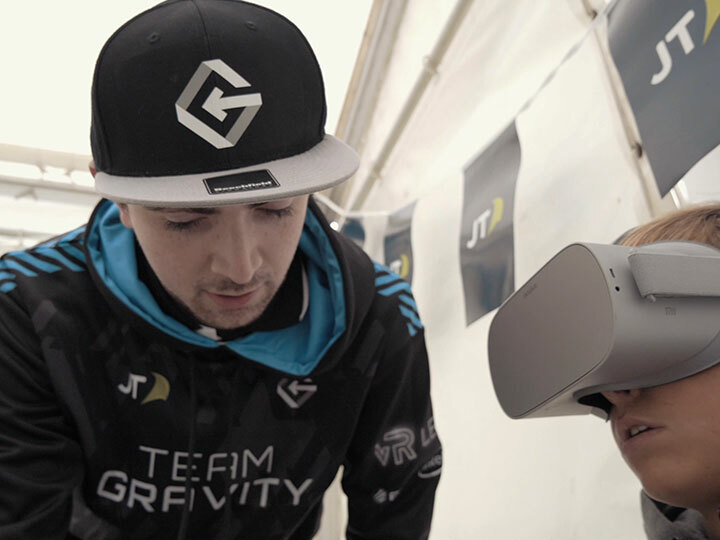 Jersey based Team Gravity captain and VR Business owner, Tim McGuiness takes some time out from the intense world of Virtual Reality Esports to give us an insight into how JT’s full fibre technology has turned his passion into a business and made him a household name in the world of VR Esports. Watch the video to hear from Tim about Virtual Reality Esports, training and his journey to some of the biggest gaming events on the planet. An exciting new awards ceremony honoured Jersey’s digital best last night. Digital Jersey is proud to announce that the 2018 Jersey TechAwards winners are as follows. A judging panel comprising representatives from both the private and public sectors on and off the Island chose ten winners. All of whom have a broad interest in, and understanding of the digital sector. The event took place in the Chart Room at Castle Quay. The host for the inaugural event financial writer, technology advocate and acclaimed British comedian, Dominic Frisby presented the awards. The Jersey TechAwards, organised by Digital Jersey, in association with the Jersey section of BCS (the International section of the Chartered Institute for IT) and sponsored by Prosperity 24/7, was established to showcase key aspects of the digital sector including the Internet of Things, Digital Health and FinTech. David Cartwright, chairman of BCS Jersey, said “So, an exciting evening saw ten extremely worthy winners take home awards that acknowledge their excellence and their contribution to the technology industry in Jersey. One must also acknowledge the others on the shortlist. We had dozens of very strong entries but, of course, not everyone can win an award. With the Tech Awards the intention was to make it an annual event, and I hope next years will be both stronger and more plentiful”. Chris Clark, CEO of Prosperity 24/7, said to be able to sponsor the inaugural awards was an honour. So, as we all know, technology is pervasive and is the life blood of Industry in Jersey. Therefore, seeing this recognised last night amongst 250 peers, creates an indelible mark in the memories of all who attended. The positive energy and ground swell regarding the potential for digital transformation to support productivity and innovation across our economy is an accolade that Digital Jersey should also take pride in, as they act as the focus point for us all to support, enabling the Digital economy to continue to grow and prosper. Jersey TechAwards marked the culmination of Jersey Tech Week. An event dedicated to the digital sector. Featuring keynote convention speakers with topics ranging from AI to blockchain; smart homes and cyber security, and which also saw the launch of the Island’s first Internet of Things hub: DJX. 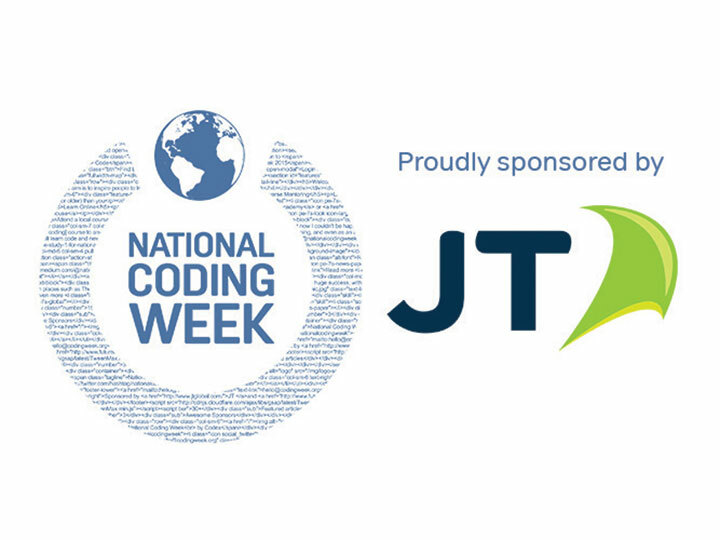 Digital excellence, innovation and inclusivity will be at the heart of the fifth National Coding Week, sponsored by JT. This year’s National Coding Week (NCW) takes place 17 – 23 September. It will offer a full programme of events in both Jersey and Guernsey to encourage interest in learning digital skills and provide hubs of activity that highlight inclusivity, social contribution and innovation. Jersey-based NCW Head of Strategy Jonathan Channing said that the 2018 programme of events demonstrates the relevance of digital knowledge in all sectors of our community. 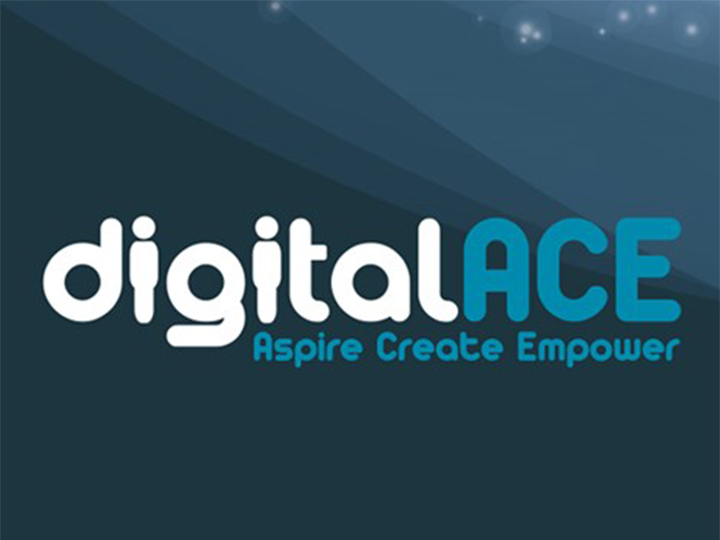 The week kicks off with a JT hosted launch event at the Digital Hub on 17 September. This will look at the opportunities presented by new technologies and will also help people understand how to protect themselves from online threats. At the event the NCW team will also demonstrate an augmented reality T-shirt and app. The T-shirt uses computer generated content to show the inside of the human body. “The events we have lined up this year are a genuinely exciting mix. They really do show the scope of digital innovation. They show the ways in which it is now embedded in so many areas of our lives. There are a range of events in both Jersey and Guernsey that will showcase the extent of digital innovation within our communities. There will also be many opportunities to join digital networking and leadership events in both islands,” said Mr Channing. Mr Channing said that he was delighted that NCW’s work had recently been endorsed by the National Cyber Security Centre. This provides advice for the public and private sector in how to avoid computer security threats. Therefore, they help to make people aware of the need to be secure online and looking for ways to balance this with accessibility. Jersey Library and Digital Jersey will be the centres of activity in Jersey. Whereas, Digital Greenhouse plays host to a variety of events in Guernsey throughout the week. NCW was the brainchild of Islanders Richard Rolfe and Jordan Love. Over the past five years, it has spread globally with events now being held as far away as the US and Australia. JT event launches National Coding Week, with a free lunchtime event: Opportunities and Threats in our Digital World.